Any business that has to shift goods and materials from storage to delivery vehicles needs forklift trucks. Searching for the correct truck can be overwhelming. 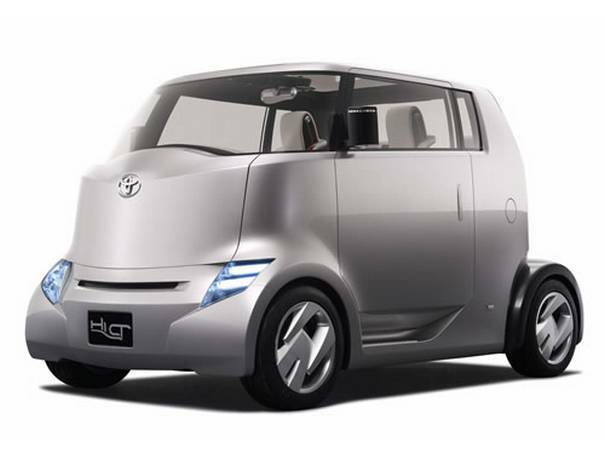 One of the biggest issues is to decide on an electrically powered, diesel or liquid petroleum gas (LPG) truck. If you know nothing about forklift trucks, start the selection process by deciding what would be the heaviest load that such a truck would carry. How high do you expect this load to be lifted? How often do you expect to use the truck? Is it going to be used every day? What kind of surface will it work on? Do you expect use it indoors or outdoors or both? A good place to start narrowing down these questions is to decide if you are going to use the truck more than four hours a day. If the answer is yes, buy a new truck, not a used one. Then decide on how heavy the load will be. This could govern your choice of fuel for the truck. Do you expect the truck to lift more than 14,000 kg? If the answer to that one is yes, then it’s time to think of gas forklifts. 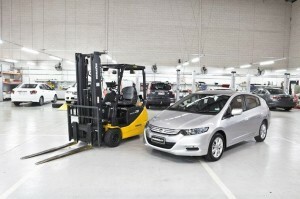 Traditionally, forklift trucks have been electrically powered. This meant that it carried a large and heavy lead-acid battery. These types of batteries are the same design as those used in an average car, but considerably more powerful. The downside in battery powered trucks it that the battery only usually supplies enough power for an average eight hour shift before it has to be recharged. That recharging process takes another eight hours. That’s a lot of downtime for any business. An internal combustion engine, whether powered by diesel or LPG, provides much more power and torque, is more mobile and can be refuelled anywhere. The problem is that diesel trucks can only really be used outdoors as they generate too big a volume of emissions. This is not the case for LPG, however. This fuel is essentially propane, one of the simplest hydrocarbons that produces carbon dioxide and steam when it burns. This is a far more environmentally friendly option that burning diesel, or heaving about vast lead-acid batteries. 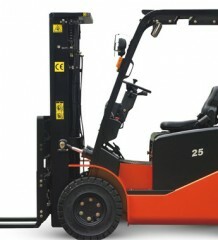 Once fitted with a fuel cylinder, LPG forklift tricks can work 24/7 and they don’t lose power. They can work of uneven surfaces and steep gradients. They are cheaper to buy and maintain than electric trucks and infinitely faster to refuel. 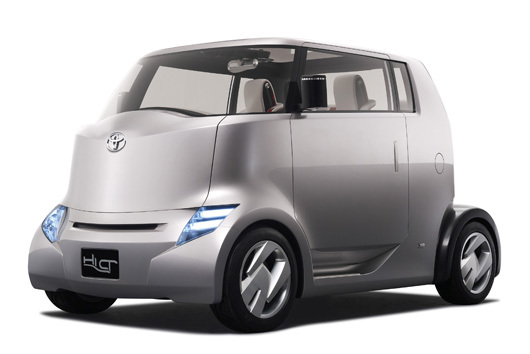 Some are designed with 29-litre replaceable gas cylinders, others with a fixed fuel tank. These new tanks can hold 44 or even 56 litres in capacity, reducing further the refuelling downtime. And they can lift well over 40,000 kg. Calor LPG is cleaner and cheaper to operate as a forklift fuel than either diesel or batteries. When fitted with a 3-way catalyst, these trucks are almost free of any lead or soot emissions. The LPG forklift truck can be used safely both indoors and outdoors. These forklifts have an added advantage of low noise levels making for better working conditions in warehouses. Jannifer Gurney is a Bristol-based animal feed merchant with clients throughout southwest England. Her warehouse operators have been using Calor LPG forklifts for the last five years.